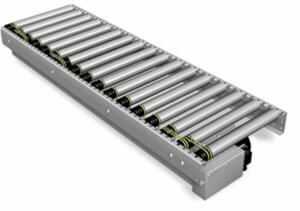 The manual or powered roller conveyors are some of the most commonly used for general warehouse and manufacturing because of their easy manual and powered options, allows different parts of the system to be powered in different ways. A great example of this is a manufacturing processes which require quality control or manual checking. The goods can be transported with a powered roller system through most areas and converted to a manual roller system allowing staff to manually check the items before returning them back to the powered system. Andrews Automation material handing systems for warehouses can be designed and tailor made to your exact specification. 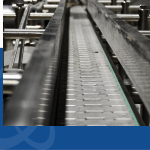 Andrews Automation have significant experience in all types of conveyor systems so are able to guide you in the right direction to get the best possible results for our automation solutions.